Ruth Bidgood (née Jones) was born in Seven Sisters (Blaendulais), Vale of Neath, in 1922. Aged seven, she moved to Alberafan; she attended grammar school at Port Talbot, then read English at St Hugh's College, Oxford. She served in the WRNS, mainly in Alexandria. After working for Chambers Encyclopaedia in London she moved with her husband, David Bidgood, to Coulsdon, south of Croydon. In 1964 they relocated to Abergwesyn, North Breconshire (now Powys). This move marked the beginning of Bidgood's writing. In 1974, after divorce, Bidgood made Abergwesyn her full time home, and lived there until her move to Beulah in 2002. She has published thirteen books of poetry. Her twelfth, Time Being (Seren, 2009), won the Roland Mathias Prize and was a Poetry Book Society Recommendation. 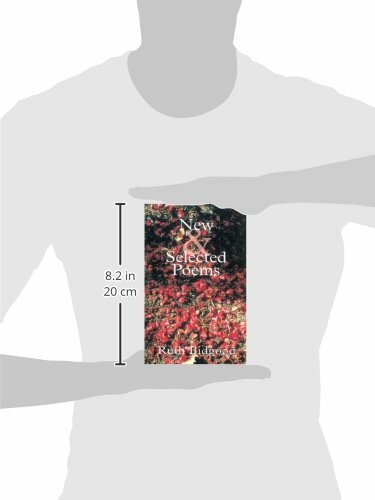 Her most recent collection is Above the Forests (Cinnamon, 2012), and its release coincides with Matthew Jarvis's critical study of her work, published by University of Wales Press. As well as poetry, she has written a prose book about Wales, Parishes of the Buzzard (Goldleaf, 2000), and published many articles in country historical journals. 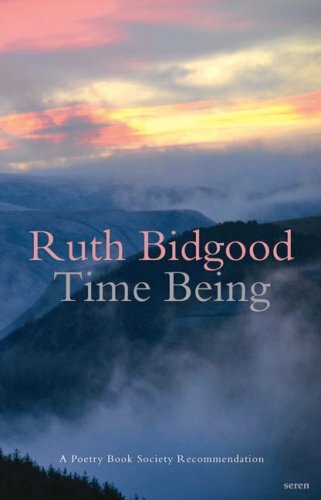 These recordings, made shortly before her 90th birthday, and spanning four decades of her work, perfectly showcase the clarity and alert observation of Bidgood's writing. Continuing to find inspiration in the history, landscape, and also the contemporary life of the valleys and parishes of North Breconshire, Bidgood's poetry is profoundly a poetry of place, embarking on considered and deeply felt meditations on a changing yet unchanged landscape, never failing to evoke the peculiar mix of nearness and distance we can feel in the places we call home. It is through the sharpness and richness of her descriptions, an attention and focus on all aspects of her surroundings, that her poems manage to discover resonances with the lives lived there. To find poetry of such sustained engagement with a particular landscape is increasingly rare, and its rewards seem all the richer for that. 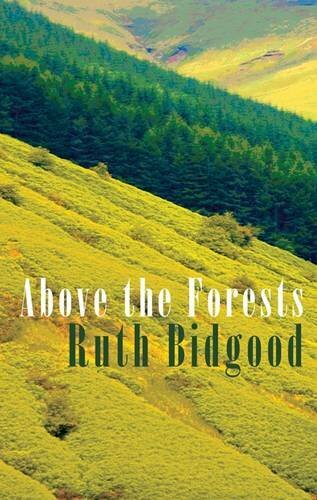 Matthew Jarvis writes of Bidgood's achievement: "The heart of Ruth Bidgood's poetry is her varied and intertwined rendition of the mid-wales area that she has made her home… Artistically, what she has achieved in such material is nothing less than a mid Wales epic." The poems presented here are collected alongside others on the CD Ruth Bidgood Reads a Selection of Her Poems (2012), produced by Simon Fraser.